Set of External Massage electrodes allows affecting with two therapeutic factors – dynamic electrical neurostimulation (DENS) and mechanotherapy (massage). • External massage electrodes are used to enhance the effectiveness of DENS-therapy, facilitate affecting unapproachable skin areas or areas inconvenient for treatment with built-in electrodes of devices. • DENAS-Massage electrodes allow to combine two kinds of treatment – dynamic electrical neurostimulation (DENS) and mechanotherapy (massage). • Dynamic electrical neurostimulation with external massage electrodes is applied for treatment of a wide range of visceral diseases, pain syndromes, as well as in facial and body esthetics. 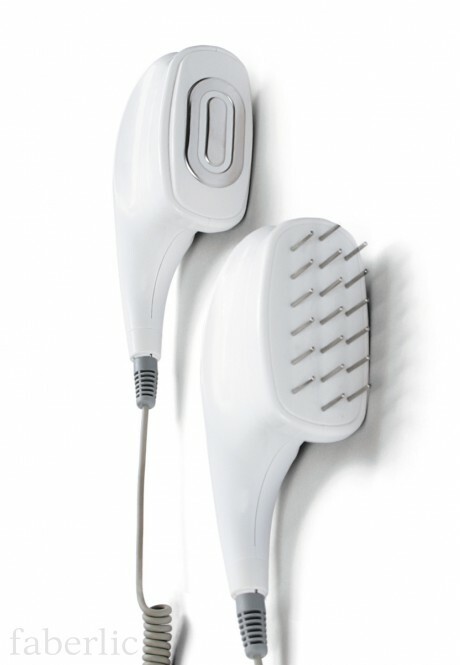 The kit includes: • External therapeutic massage electrode No. 1; • External therapeutic massage electrode No. 2; • Operating Manual. Attention! Massage electrodes work only with DENAS-PCM models of 2013 (70901) and 2016 (77520). Electrodes require a special adapter (77496). Medical products are non-refundable.